At Miracle Steam we understand that the purchase of carpet for your home or office is a long-term investment. We know that finding reliable Carpet cleaning in Irving TX can be a challenge. That is why we focus on not only getting your business the 1st time, but every time you need your carpets cleaned. We also feel that it is our job to help you maximize your return on that investment. What do you do when normal wear and tear begins to take its toll on your carpet, or occasional accidents cause damage to face yarns or backings? Book an appointment today so we can examine the damage and come up an effective repair plan. 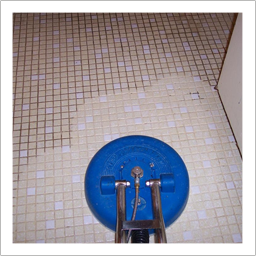 Miracle steam provides tile and grout cleaning in Dallas. If you have dirty grout and tile in your foyer, kitchen, bath room, or hallway, we will clean your grout and tile to look like new. In the last ten years, the number of cases of allergies, asthma and lung disease has increased 72% due to poor indoor air quality, according to the American Lung Association. Book an appointment today! We provide upholstery cleaning anywhere in Dallas. Let us use our professional steam cleaning to make your sofa, chairs, and mattresses look like new. Miracle Steam Carpet Cleaning and Restoration LLC is a Irving area based company that fully understands the importance of customer service. It is our belief that our clients are our greatest asset. At Miracle Steam our top priority is delivering the level of service that we promise. Miracle Steam carpet cleaning in Irving TX is a 21st Century Company founded on 19th Century Values. Even today, we still believe in growing the company one business or one home at a time. Miracle Steam Irving’s Technicians are formally trained in the latest carpet cleaning Techniques and floor care systems. We also use the highest quality chemicals on the market as well as the latest technology equipment. Whether your needs are residential or commercial Miracle Steam Irving would love to become your floor cleaning company of choice. At Miracle Steam Irving our level of commitment to making sure that you have the best experience possible is unparalleled! Not only do we offer carpet cleaning in Irving TX, but we also service Frisco, Grapevine, Flower Mound, Lewisville, Addison, Coppell, Farmers Branch and of course Dallas. “ My family has been in our home for over 15 years and I started to see the wear and tear on our carpet as a result of everyday living and having 2 children in the house. It was embarrassing to see some of the stains that I just could not get out on my own, and I was dissatisfied with other companies I had tried and inevitably the carpet smelled fresh, but it was too wet or the stains were still there. "The Service Technician that came out was courteous, professional and did an EXCELLENT job cleaning! He took extra time to work on a few stubborn stains, had a special machine/technology which was used to lift the carpets prior to the cleaning. Care was taken not to damage the furniture. I was very pleased with the end results of the carpet cleaning. Not only was the pricing and quality of work good, but Technician also provided good information regarding care of carpet, importance of changing air vents, answered all questions, and carpets look great!"